With private parking, a stylish restaurant and fitness center, Novotel Leeds features spacious rooms. The hotel is in central Leeds, just a 3-minute walk from Leeds Train Station. Good business hotel, has everything you'll need. In the heart of Leeds, Crowne Plaza offers a luxurious spa, an indoor swimming pool and modern rooms, and Leeds’s bustling shopping area is just a 10-minute walk away. The staff, especially on reception, were excellent. 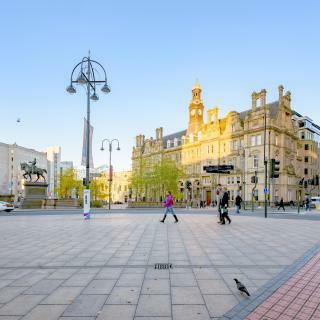 In central Leeds, this elegant hotel is set within The Light shopping and leisure complex. Stylish rooms each have a TV and free Wi-Fi, and there is a modern restaurant and bar. The orange juice and the croissant was very nice. In the heart of Leeds city center, this Grade II listed hotel is just a 3-minute walk from Leeds Rail Station. City Centre location gave easy walk to sites, sounds and local life (food festival). Village Hotel Leeds South features a stunning 25-yard indoor pool, chic rooms with plasma-screen TVs and a choice of dining experiences are all offered at this contemporary and stylish 3-star hotel. Really excellent gym and a good pool, sauna and stam room. The self service breakfast was very good. In Leeds' business district, close to shops and nightlife, this hotel is less than 10 minutes’ walk from Leeds City Station. It offers stylish rooms, and an open-plan restaurant & bar. Great location. Super friendly staff. Upgraded to a larger room. Very clean. Comfortable. 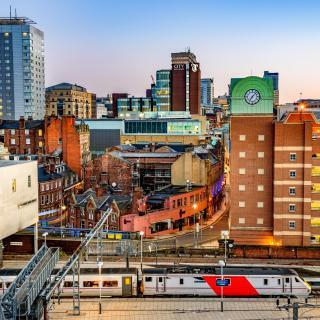 Just 328 feet from Leeds Rail Station, the Discovery Inn – Leeds has a 24-hour front desk and is only 5 minutes’ walk from the shops, restaurants and bars in Leeds’ city center. Very comfortable and convenient as well as good value. Shuttle provided also. Set in 9 acres of wooded grounds, the 4-star Weetwood Hall Estate is a 17th-century manor house with an award-winning pub. The hotel is just outside Leeds center, a 10-minute drive from Leeds Airport.... Was celebrating mother in law’s 60th birthday party at the hotel so booked the weekend to celebrate. This city center hotel is a short walk from shops, bars and restaurants. Excellent value & customer service, as always. Woodlands Hotel is a stylish contemporary hotel surrounded by picturesque grounds with complimentary car parking. Woodlands is just 10 minute’s drive from Leeds City Center. Lovely sized room, spa bath, great shower. Once a bus and tram company office, this hotel retains its unique architecture, including a vaulted ceiling and quirky rooms, which come in different shapes and sizes. The front desk staff was excellent and assisted me with my concerns about where to park. Located in Leeds city center, the Marriott is just 5 minutes’ walk from Leeds Rail Station and opposite the Trinity Shopping Center. Ideally located, just minutes from the train station, and slap bang in the middle of leeds. On average, 3-star hotels in Leeds cost $81 per night, and 4-star hotels in Leeds are $120 per night. If you're looking for something really special, a 5-star hotel in Leeds can be found for $199 per night, on average (based on Booking.com prices). Which hotels in Leeds are good for couples? These hotels in Leeds are highly rated by couples: Dakota Leeds, Quebecs, and ibis Styles Leeds City Centre Arena. Which hotels are the best ones to stay at in Leeds? Dakota Leeds, Quebecs, and ibis Styles Leeds City Centre Arena are some of the popular hotels in Leeds. Which hotels in Leeds offer an especially good breakfast? For hotels in Leeds that serve highly-rated breakfasts, try Dakota Leeds, Clayton Hotel, Leeds, and Quebecs. Many families visiting Leeds loved staying at Dakota Leeds, Clayton Hotel, Leeds, and Woodlands Hotel. Which hotels in Leeds have nice views? DoubleTree by Hilton Leeds, Park Plaza Leeds, and The Queens - QHotels got great room view-related reviews from travelers in Leeds. On average, it costs $72 per night to book a 3-star hotel in Leeds for tonight. You'll pay around $107 if you choose to stay in a 4-star hotel tonight, while a 5-star hotel in Leeds will cost around $171, on average (based on Booking.com prices). The average price per night for a 3-star hotel in Leeds this weekend is $271 or, for a 4-star hotel, $307. Looking for something even fancier? 5-star hotels in Leeds for this weekend cost around $362 per night, on average (based on Booking.com prices). What are the best hotels in Leeds near Leeds Bradford Airport? Travelers who stayed in Leeds near Leeds Bradford Airport (LBA) have said good things about Chevin Country Park Hotel & Spa, Britannia Leeds Bradford Airport, and Mercure Leeds Parkway Hotel. 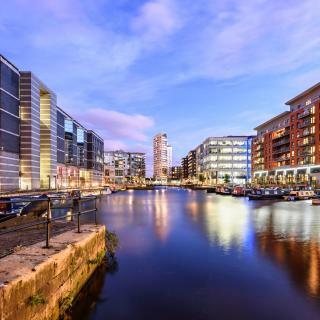 Which neighborhood is the best one to stay at in Leeds? University District, Leeds City Center, and Trinity Quarter are popular with other travelers visiting Leeds. 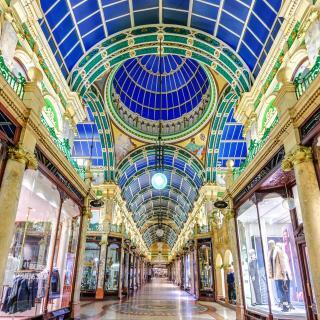 Between Bronte Country and the Yorkshire Dales, Leeds is a stately city with a wealth of impressive Georgian and Victorian buildings. The most celebrated is the town hall, a historic gem with a huge clock tower supported by columns. Just around the corner is the understated Leeds Cathedral, and between the two is Millennium Square, a large urban space that plays host to outdoor concerts and a German Christmas market. On the outskirts of the city are wonderful Roundhay Park, Kirkstall Abbey and Leeds-Bradford International Airport. 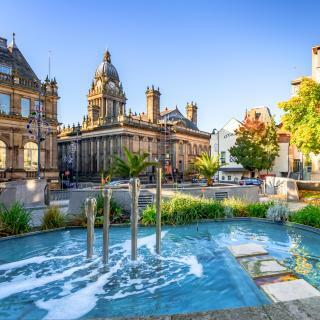 Leeds accommodations on Booking.com covers all areas of this elegant city. I have came to Leeds 3 weeks in a row for concerts and a weekend away. I'm more familiar with the local places and good places to eat and drink. It'd be absolutely perfect if it wasn't so busy. Rooftop bars are beautiful but theyre packed tight with people, there are plenty shops and shopping centres. Museums in the area are wonderful and make a great day out. I didn't travel on one myself but at the docks there is a boat taxi and I think that's so cool! Mann's Market is such a beautiful Chinese restaurant, and their way of ordering food is such a great concept! Cocktails in Issho are expensive but they're delicious. The Royal Armouries museum, Thackray Medical Museum and Leeds City Museum are great places to visit. I also enjoyed the indoor and outdoor market! So much to do and all the amenities are within close reach of each other. 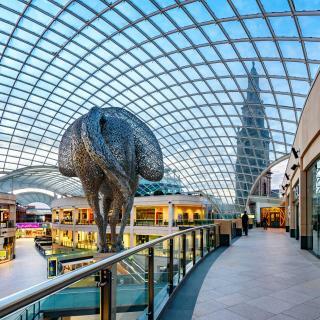 Great bars and restaurants and Trinity Leeds shopping centre is amazing for a day out shopping and it’s virtually across the road from Leeds train station. Wish I could’ve stayed in Leeds for longer!! Leeds is a nice place to visit. Leeds is a nice place to visit. There is plenty to do and see. The night life is good with plenty of bars, pubs and eating out places. The ammenities are also very good and close by. The hotel is situated about 15-20 min out of town, which is good for the keep fit. Leeds is a large city! Leeds is a large city!! We visited this place for a fab conference called cherish and the hotel was a 12 minute walk from the hotel we stayed in the room was super basic but just what we needed to sleep comfortably each night!! We went for sons graduation and really sorry we hadn’t been before. Great centre with plenty going on, clean and felt very upbeat. Loved the corn exchange and the old arcades. Great market andplenty of interesting bars and restaurants. Went to the magnificent royal armoury museum which we highly recommend. the staff were very helpful, even printed our boarding cards for our flight home... highly recommend.